Hardly anyone outside of Spain knows about Baqueira-Beret – Spain’s best ski resort – where house prices have more than halved in the last 5 years. I’ve been skiing in the Catalan Pyrenees around the Cerdanya and in Andorra many times, but I’ve never made it to Baqueira until now. I can’t believe what I’ve been missing all these years. Baqueira, where the Spanish Royal family own homes and regularly visit, has the best skiing in Spain, and is also the most attractive of Spain’s ski resorts. It’s north-facing, in the middle of the Pyrenees, where the mountains are at their highest, which helps to explain why the skiing is so good by Spanish standards. 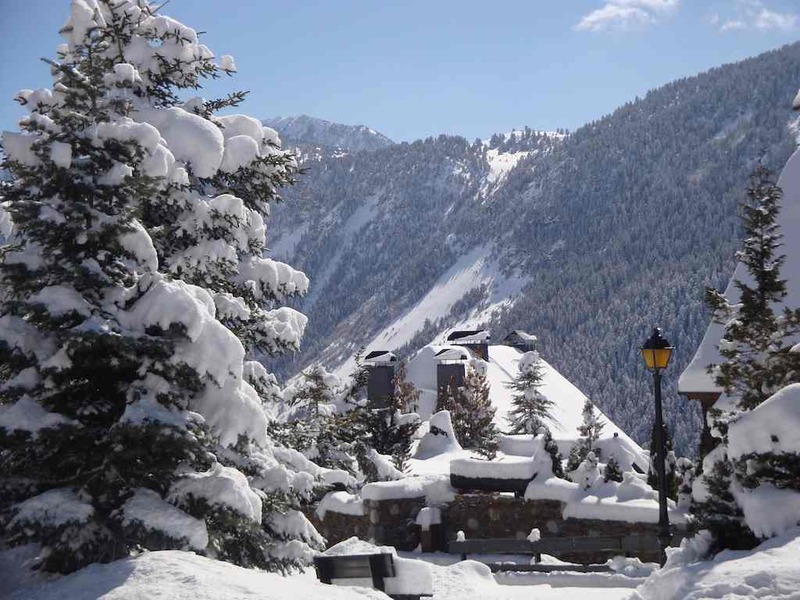 Baqueira is in the Val d’Aran valley, where you pass a number of attractive mountain villages like Arties and Garòs on the way up to Baqueira. Quite a few Spaniards have bought holiday-homes in these villages, and drive or take the bus to Baqueira to go skiing. The Val d’Aran is the stuff that postcards are made of. Picturesque, with pretty villages and Alpine valleys, it feels more like Switzerland than Spain. The skiing is not as good as the Alps, of course, but it is certainly good enough to have an enjoyable and varied week’s skiing, and it is ideal for families with young kids. It’s no secret the Spanish know how to enjoy themselves, and this shows in Baqueira, where the après ski is superb. For example, you will find classic “montaditos” tapas bars with a mouthwatering selection of tapas laid out on the bar, which you help yourself to as the Spanish wine keeps flowing. The atmosphere is as good as anywhere on the Spanish coast in August, but then you walk out into the snow. According to the director of the resort, Baqueira is almost unknown outside of Spain and South West France. 75pc of visitors are Spanish, mainly from Madrid, Barcelona and Bilbao, 20pc are French from Toulouse, and 5pc are from the rest of the world. This year, though, there were noticeably more Brits about, they say. Word of Baqueira is beginning to get around, so I expect there will be more tourists from the UK in future. The cost of 5-star accommodation is half what you would pay in the Alps. It’s a wonderful place for a winter holiday with the family, and it’s easy to reach from London: you fly to Toulouse and then it’s just 90 minutes in a car, half of it on a motorway. Baqueira also now offers great value to property buyers. Whilst house prices in the best areas of the French and Swiss Alps have doubled in the last 5 years, prices in Baqueira have fallen by more than 50pc. You will now pay around 4,000 €/m2 in Baqueira, down from as much as 9,000 €/m2 at the peak. You will pay 3,000 €/m2 in the villages around Baqueira. The quality of the housing stock in general is excellent. A leading local estate agent reports that, having sold 2,600 homes in Baqueira in the last 20 years, he has never dealt with a British buyer. I expect that will change.